Apple has developed a new tool that deconstructs iPhones after they are returned. The robotic cutting tool, called Liam, removes the valuable materials from iPhone parts so they can be repurposed into other products. Apple shared some details about the tool during a press event Monday. Some of the materials removed include cobalt, gold, silver, platinum and tungsten. For example, Tungsten is repurposed in precision cutting tools. “There’s no other machine in the world that can do what Liam can do,” Lisa Jackson, Apple’s vice president of Environment, Policy and Social Initiatives, said at a press event in Cupertino, California. Liam was developed as part of Apple’s larger initiative to be more environmentally friendly, the company said. Apple has focused on using renewable energy, and Liam helps put more recycled materials back in the global supply chain. The tool is also a good way for Apple to save money because the company doesn’t need to buy those expensive materials again. In a way, Liam is a mechanized version of metal recycling professionals who scrape off gold and other precious metals from products that have been thrown away. The Liam tool is used on iPhones returned to Apple for recycling. 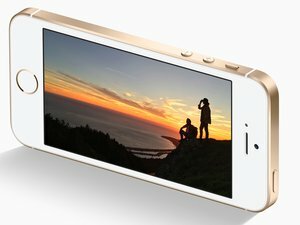 iPhones can be returned at Apple stores.